Not a race, not a tour, not a sportive, not a fun ride per se — but nevertheless a ride for fun!, for companionship, for a real sense of achievement and of course — it’s challenging! Standard distances for a ‘Brevet Randonneur Mondiaux’ (BRM) are 200; 300; 400; 600; and 1000 kms (yet to be ridden in SA) which have to be ridden at an average speed between 15/30 kph from start to finish and between Controls; which are set up to help participants stay on course and maintain the average speed. Controls are usually between 40 and 80kms apart and are usually situated where a break can be taken and refreshment obtained. A medal is awarded at the successful completion of an event (Randonnee) which also records the distance. The significant feature of these events, in other words the ETHOS, is the self supporting nature of the ride. Support can be given at Controls but not in between, other than from among the participants or received fortuitously e.g. passersby such as other cyclists do-gooders or even a well placed cycle shop or garage! 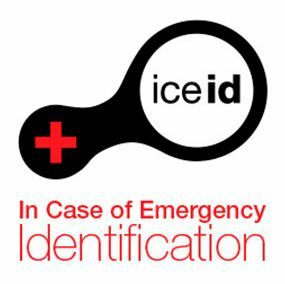 What is ICE ID (In cace of emergency identification)? ICE ID supplied a wide range of medical alert bracelets to help you IN CARE OF AN EMERGENCY. Accidents can happen anywhere, at anytime, so it's best to be prepared. You may want paramedics to know that you are a diabetic, have allergies or that you are on a private medical aid. This vital infomation could save your life. Ideal for young and old, there is a product to siut your style and your lifestyle. If you're active, Strava was made for you. This mobile app and website enhance the experience of sport and connect millions of athletes from around the world. We're the social network for those who strive. Learn about recording an activity on Strava and all the ways you can analyze your performance. Workout with friends, stay motivated, get inspired - our community is what separates Strava from the rest. Discover your next goal with Strava segments, routes, maps, clubs, challenges and race courses. 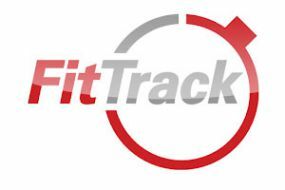 Whether you want to win the race or just survive the challenge, FitTrack has the training plan for you. Designed by professional coaches with years of experience, each training plan is tailored to your level of fitness and the time you have available to train.